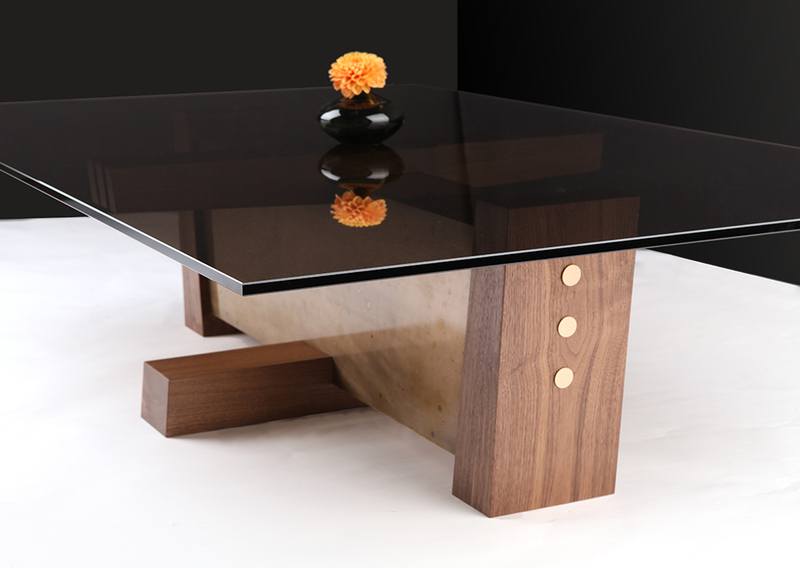 Glass top, architectural, Craftsman inspired coffee table. Etched Bronze and walnut. Custom sizes and finishes. Made to order.